We have thousands of new and used parts for vintage Volkswagen vehicles in stock every day here in Arlington, Texas. 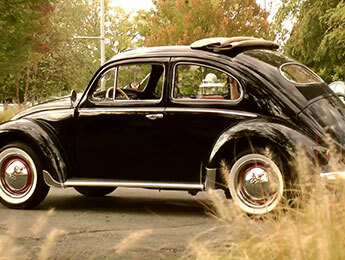 Keep your air-cooled vintage Volkswagen running its best all year long. Whether you're looking for custom add-ons or new old stock (NOS) finds, we have them. We are also a certified distributor for countless quality parts manufacturers. If we don't have it, we can get it for you and ship it to you anywhere in the United States. Call us first. THE BUG STOP, INC. has most years of rebuilt air-cooled VW transaxles units on the shelf and ready for immediate delivery. We have transaxles for Beetles, late bus 4-speeds, air-cooled 5-speeds, waterboxer Vanagons™, and freeway flyers. We perform all transaxle work in our shop, feel free to call on us if yours needs repair. If the engine in your classic VW is beyond repair, we can help. THE BUG STOP, INC. offers professionally built air-cooled engines in virtually any configuration, from mild to wild.